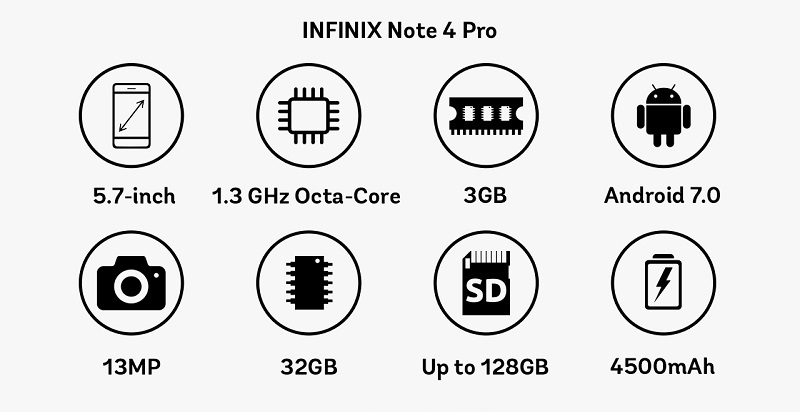 Infinix Note 4 Pro sports a 5.7-inch display, the device feature a bezel-less display and Note 4 Pro comes with 1920 by 1080 pixels with a full HD screen. With a 1300 (TBD) contrast rate and luminance, exceeding 500cd/m2 which together makes the screen unbelievably colourful, clear and dynamic. Android 7.0 (Nougat) is pre-installed with handful of interesting features that the XOS has to offer. The powerful NOTE4 Prooctacore chipset gives the best experiences in gaming, streaming, or surfing the internet. 3GB RAM delivers enjoyable and smooth performance, and up-to 128GB external memory provide excellent overall user experience. 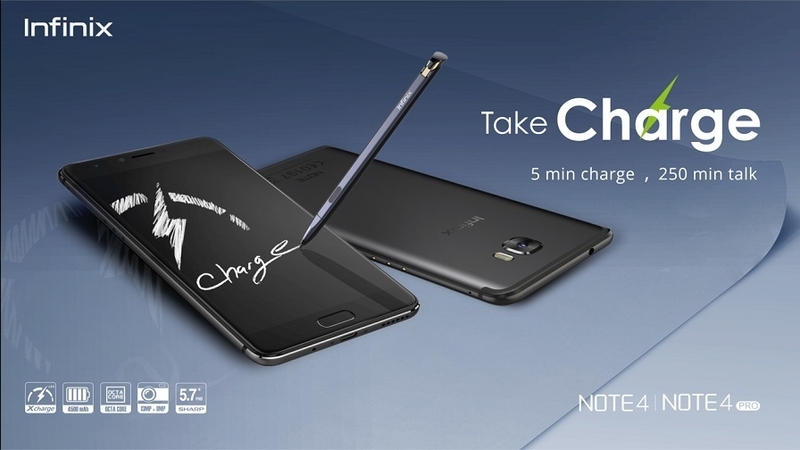 The NOTE4 Pro has an improved charging experience with the latest Xcharge 4.0 technology and large 4500mAh battery. In addition, a quick 30-minute charge swiftly replenishes the battery of your NOTE4 Pro to give you enough power for the day. The Xcharge 4.0 reduces the loss of current conversion and reduces heat from charging to provide better overall efficiency and safety.